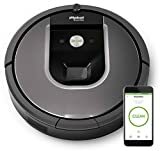 To say that Amazon’s sale on the iRobot Roomba 960 Robot Vacuum with Wi-Fi Connectivity and Alexa was the best-selling Roomba deal of Black Friday is something of an understatement. This best-in-class robot vacuum dropped to its lowest price ever, and thousands upon thousands of our readers jumped on it. So many people bought it that it has been completely out of stock on Amazon ever since Cyber Week, but now it’s finally back — and it’s back on sale at a discount! You won’t save quite as much as you would have during the holiday shopping season, but Amazon is still offering a big $150 discount. Definitely grab one before they’re gone again.